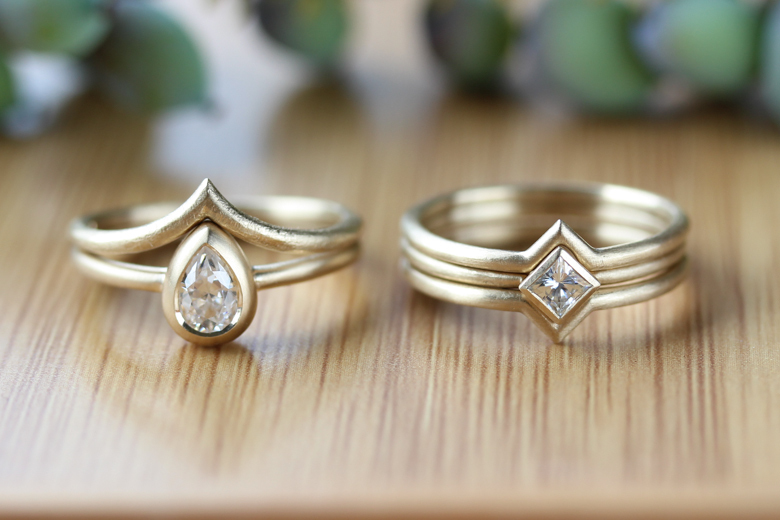 Aide Memoire Jewelry — Catalyst Wedding Co.
Aide-mémoire Jewelry creates bespoke wedding bands, engagement rings and fine jewelry, made in the US. Aide-mémoire is dedicated to marriage equality and an eco-conscious studio practice. Using recycled precious metals, ethical fair-trade, recycled and lab-grown diamonds and gemstones in a low-impact studio environment. What is the mission of Aide-mémoire Jewelry? What is Aide-mémoire Jewelry's origin story? Aran started studying metalsmithing and jewelry making as an undergrad at VCU in 1996. She fell in love with metal as a material and have had several jewelry business iterations over the years. 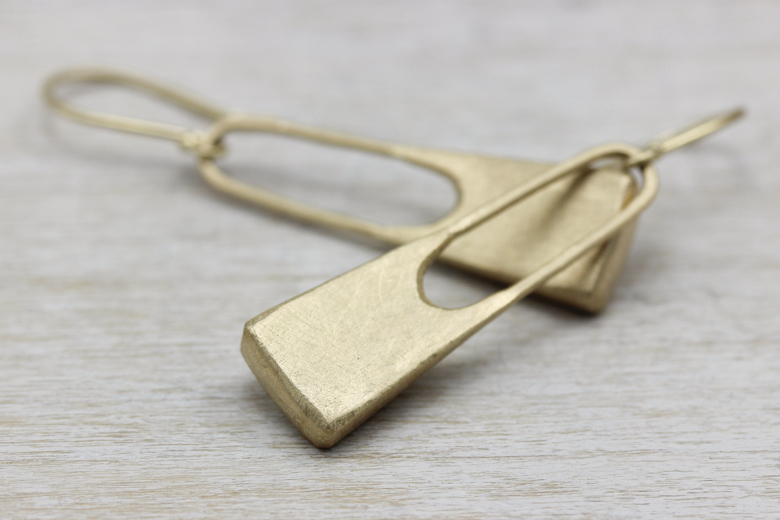 In 2012, after receiving her MFA in Metal, she moved back to Seattle and started Aide-memoire Jewelry. Her focus from day one has always been about making meaningful, future heirlooms, in a responsible way. Recently one of our customers, whose mother passed away, reached out to us about doing a series of necklaces and rings for her, her sisters and her nieces using the diamonds from her mother’s wedding band and eternity ring. It was a very meaningful project to work on, and we we felt very honored that she asked us to create these pieces for them. One of the big ways that we are a wedding industry disruptor (beyond our highly ethical sourcing of materials) is that we typically only work with stones that are under 1ct. (unless they are an heirloom stone). Aran does this partially to remain true to her design aesthetic, and partially because she is not interested in perpetuating the desire for large diamonds. It is very rare for a jeweler to turn down large diamond jobs, but it is important to Aran that there is integrity in everything we do. What three ingredients are necessary for a great day at Aide-mémoire Jewelry? Lots of tea, chocolate and KEXP. Someone who is looking for something unique and minimal. Someone who doesn’t want a traditional jewelry store experience, but instead wants a more intimate jewelry buying experience. Someone who is concerned about material sourcing. "Simply stated, my experience with Aide-mémoire was absolutely wonderful: I have a bespoke work of art that I can wear everyday, and the Aide-mémoire customer service and value were impeccable. I found Aide-mémoire because I was determined to choose a source for conflict-free, sustainable wedding rings, and I am convinced that I found the best one. I customized my ring substantially to remind me of my wonderful fiancee, and this beautiful result I now have will be a happy reminder." Aran Galligan is a Seattle transplant from the East Coast. She received a BFA in Craft/Material Studies with a focus in jewelry from Virginia Commonwealth University in 2000, and her MFA in Metal from SUNY New Paltz in 2012. Previous to her MFA she completed a two-year fellowship at Penland School of Crafts, Penland, N.C. Aran is inspired both by principles of modern design – functionality, truth to materials, and beauty through simplicity – as well as an aesthetic value the Japanese call Wabi-sabi, where beauty often lies in the imperfect mark of the hand. We ship to anywhere in the US, as well as several other countries.